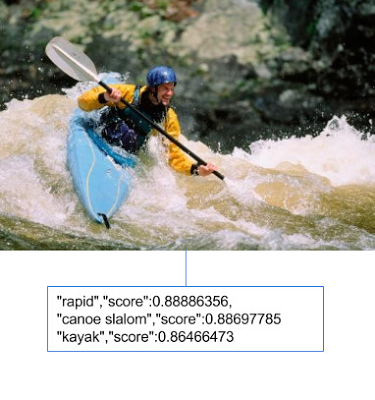 After a short limited preview, Google today announced the public beta of its Cloud Vision API — a service that allows developers to easily build image recognition and classification features into their applications. Google’s technology do basic things like extracting text from images, but its real power is in actually recognizing the objects in an image. This is the same technology that powers the image search in Google Photos and it can recognize anything from flowers, food and animals to local landmarks. Google says it has trained the algorithm to recognize “thousands” of different objects. Image classification is probably the most interesting feature in the API, but the service can also flag inappropriate content, for example, so if you want to keep your photo-centric app PG-rated, the Cloud Vision API can help you there, too. And if you only want to see happy people in your images, the Vision API also features sentiment analysis. Google also today announced pricing for access to the API and how much you pay will depend on how you use it. Label detection, for example, will cost $2 per 1,000 images while basic optical character recognition is a bit cheaper at $0.60 per 1,000 images. During the beta period, Google will restrict users to a quota of up to 20 million images per month. Google says a number of companies have already implemented its service during the preview period. Yik Yak, for example, used the API for text extraction and feature detection. With the Vision API, Google is going up against the likes of Microsoft’s Project Oxford, which is currently in preview. Among numerous other features, Project Oxford offers APIs for computer vision, face detection and sentiment analysis.